Meet the new 2018 Ford Mustang. No, it's not a hybrid... yet. As a general rule, cars get a very light makeover a few years after they debut, which is roughly halfway through a given vehicle's generation. It's a way to keep the styling fresh and add one or two tweaks to the option packages in an effort to appease buyers ahead of the car's full-on next generation. The manufacturers have varying names for the practice, but ask any enthusiast and you'll get one word: facelift. 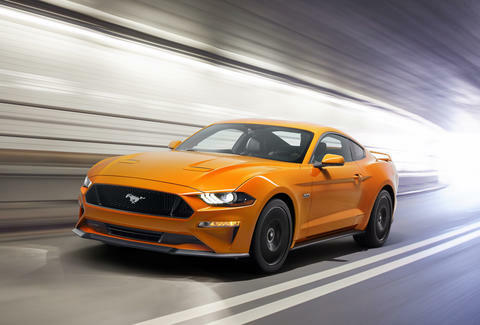 While at first blush the new Mustang might not look all that different from the current model, under the skin it's likely the best "regular" Mustang ever built. Thanks to some new optional hardware, it can potentially give cars like the Chevy Camaro 1LE -- a car we declared the best performance car under $50,000 last year -- a run for their money. While, yes, this falls under the broad category of facelift, it borders on the bleeding edge of what facelifts generally accomplish. 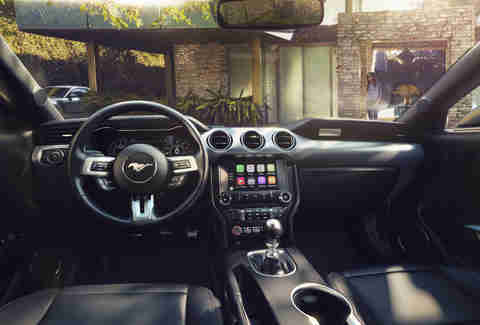 Over the years, the Mustang's interior has been called many things, ranging from spartan to stylized, but by far the most important improvement in the new Mustang is, well, everything you touch. 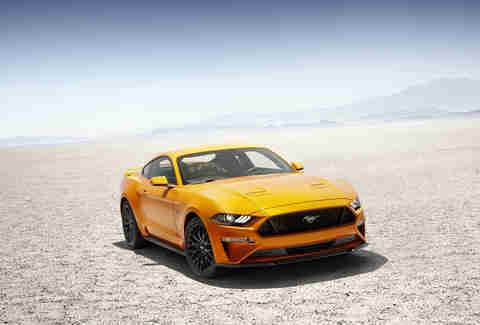 The materials have improved significantly, and virtually every surface is padded, giving it a much more luxurious feel that rivals even some of the German sports coupes to which the Mustang can now legitimately aspire. It's more than just improved surfaces and contrast stitching, though. The 12in LCD instrument cluster is taken straight out of the Lincoln Continental, and offers multiple display modes, each with specific functionality -- for example, a customizable set of lights appears in "track mode" to make it easier to see when you should be shifting. The entire front of the car is actually quite a bit lower, which represents by far the biggest visual change. Look a little more closely, though, and you'll see that LED headlights (and taillights!) are now standard. 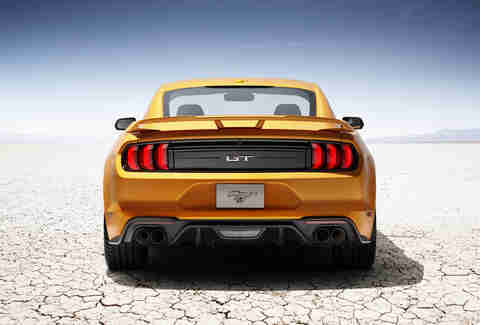 In back, the changes are far more minor, and mostly amount to modified trim panels and a new-for-2018 quad exhaust that's reminiscent of the Shelby GT350. That quad exhaust lends the car a much more raspy and aggressive note, an improvement that's even more obvious in "sport mode." Numbers aren't released yet, but Ford is promising significant power gains in the V8 GT model, and improved torque and seat-of-your-pants feel in the 2.3L EcoBoost four-cylinder. Both are welcome changes, of course, but dwarfed by two separate introductions to Mustang's performance portfolio. The first is a new 10-speed automatic transmission, part of an interesting partnership between Ford and, oddly, Chevrolet. 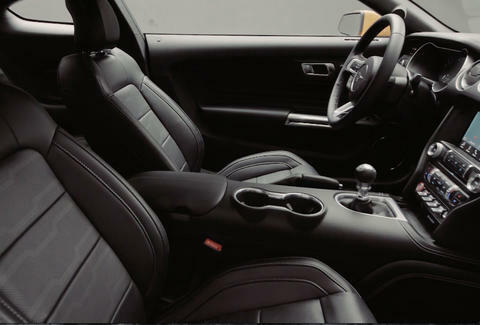 The new F-150 Raptor uses this transmission, as does the Camaro ZL1, and it results in more efficient use of the engine's power and lightning-fast gear changes. Simply put, it's a serious performance transmission, even though there's no clutch. The other new development for 2018 is the introduction of MagneRide shocks -- i.e., state-of-the-art adaptable shock absorbers. These use the same tech that makes the Shelby GT350 the cornering beast that it is, but the really cool aspect here isn't that your Mustang GT might corner as well as a Shelby, though it will undoubtedly be close. You'll be able to get the shocks as part of the Performance Package, which is available even on the EcoBoost Mustang, which means an easy win for anyone looking for killer handling without breaking the bank. Aaron Miller is the Cars editor for Thrillist, and can be found on Instagram and Facebook. He can't wait to compare the Mustang EcoBoost with the Performance Package to a V6 1LE Camaro.